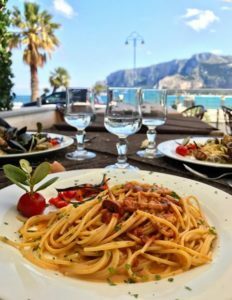 This is written to first show you how you can get to Mondello Beach from Palermo, and then to tell you how to make the most out of the time you get to spend there. Spending a beautiful day on the beaches of Sicily will be a breeze if you follow the seasoned advice of Don Tano. I will tell you how to reach the seaside and how to have the most amazing time while you are there. Before we get into the various details and plans, we should begin with telling you how to get there in case you are in a hurry for the directions. 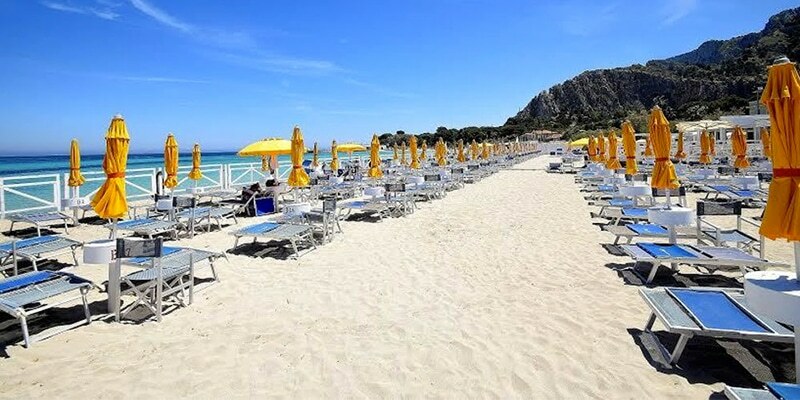 Here is how you reach Mondello Beach from Palermo. You will find that there are really only about 3 ways that you can get from Palermo to Mondello. You can take a bus, taxi or car, but even all three of these options aren’t available if you didn’t get your accommodations in one of the more frequented and desirable areas. Let’s look at all of your options individually. The bus is among the cheapest ways for you to get from Palermo to Mondello (but it is also among the most stressful). During the summer, the busses can get crowded and nerve wracking. If you don’t have a car to drive, it is either this or a taxi for you. With the crowding, even something as simple as scratching your nose becomes a tricky ordeal. So understand going in that riding the bus is not ideal, but it is an option. At literally any hour of the day, the bus is significantly full of locals and tourists. There are often so many on the bus, that you are encouraged more and more to just wait for another (hopefully) less crowded bus. The entire trip takes anywhere from half an hour to 45 minutes depending on the current traffic climate. This bus, the 806, used to only be a seasonal means of transportation operating from the middle of May until the end of October exclusively. Starting this year, this means of transportation will no longer be suspended during the late autumn and will continue to shuttle tourists and locals to the beach. I should specify that this will not last forever – nothing in Palermo ever does – but it is the current plan until someone in management wakes up one morning and decides to suspend the service again. I will do my best to keep you as updated as possible. You can easily locate this bus by heading over to the Politeama Theater, and then going behind this theater to Piazza Sturzo. Tickets should be somewhere around 1.40 €. I have written an article about the public transportation in Palermo (and for your sake, I hope you read it). The public transportation is a mess that is unreliable to say the least. 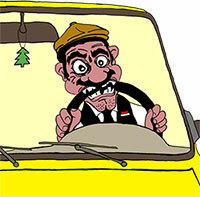 It is much better to rent a vehicle and travel the area at your own leisure and discretion. While a personal car can get you to Mondello in 15 minutes or so, you can get there even faster by using the Favorita parkway. This parkway bypasses the dense, high traffic areas around the city. Another route you might consider is the Addaura Litoral. This takes a little longer, but the panoramic views are well worth the added time. Once you actually get to Mondello, try to find some of the free parking areas. These are usually occupied, and you will have to park in blue-lined areas that require a fee. Pick up a ticket from a local tobacco store or market along where you are trying to park. You will place this visible ticket on the dashboard of your vehicle behind the windshield. These tickets traditionally cost 1€ per hour of use. If you are trying to get to the crisp clear waters of Mondello via taxi, prepare yourself for a bloodbath. This will be the least cost-effective of your options. For a simple 15 to 20 minutes of riding, you will be looking at a minimum of 25-30€ for one trip there. It would be a very difficult thing not to include Mondello among Italy’s most beautiful beaches. Even with the heightened tourism through the summer months, it is still a magical beachfront that you will remember for a lifetime. Even stepping away from August (arguably the busiest of months), you will be taken back by the bright white sand beaches contrasting blue and turquoise waters. This impressive mile and a half long stretch of beach is riddled with cafes selling goods and wares for very cheap. An old bathhouse splits the beach in half, which can give you the opportunity to rent an umbrella and a sunbed and relax on a private beach. This is advisable in the busy times of the year. There are no threats or dangers on the beach, making it an excellent place to bring your family for a day of fun. You might also enjoy this area if you are single, as there are many attractive women (and men) who are always hanging around the beach front. Make sure you pay attention to Tascios, though. 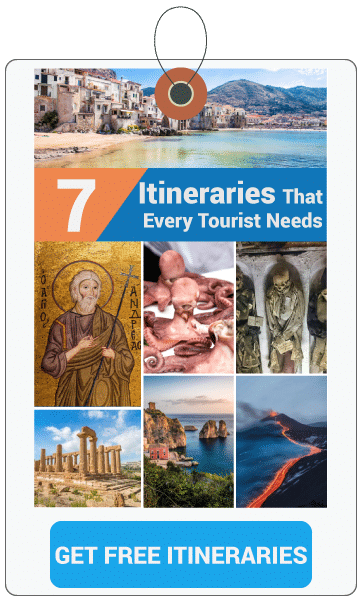 If you plan a trip for the summer or spring, you should consider booking accommodations out here to be closer to the beach and also to engage in some of the local nightlife. Trust me when I say that I am not getting any sort of endorsement to push private beaches, but they are the way that you can make sure you aren’t ruining your time in Mondello. In the public area, everything seems a little dirtier. They are also teeming with teenagers sporting tennis rackets, frisbees and other annoying toys. While you might not want to spend a lot, the average cost of getting your own bit of private beach complete with an umbrella and sandbed is only 10-12€. Anyway the best way to enjoy the sea is from the sea itself and therefore, if you get a chance to take a boat tour in Mondello, take it. What Is There To Do In Mondello? While the obvious draw is the beach, there are many great restaurants in the area and also several bars offering the night time aperitif as the sun goes down. These same bars will roll in tourists and locals overnight, encouraging you to dance the night away well past midnight. I always seek to give you the best information, as well as the most helpful. If you have any questions at all, feel free to use the comment box below and I will be sure to get back with you soon.